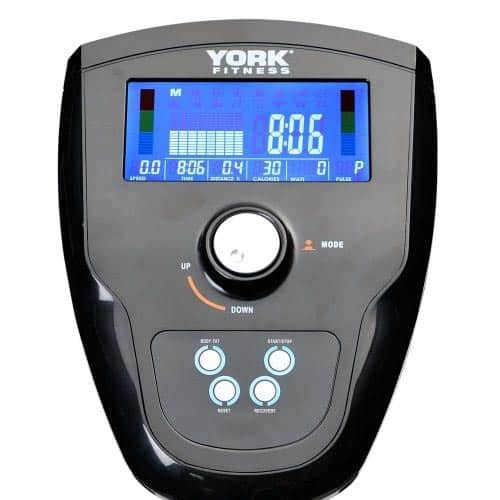 The York Fitness Perform 210 is a cross trainer that I recommend highly to friends and family. And while it may not be the most advanced model on the market, it is in the entry-level price range and is a great option for someone trying to lose weight or just starting their fitness journey. 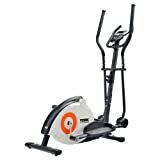 Again, you won’t find this model in most gyms, but it also costs a lot less than the competition, which you can see in the best cross trainers & reviews page. Let’s take a look at what I liked and didn’t like with this model before going any further. You’re probably wondering why I would recommend a loud cross trainer that has some breakage problems to my friends, but the truth is that most machines at this price range have noise issues. You will be lucky to find a low-priced cross trainer that doesn’t squeak, and I never expected breakage problems during my review. And York Fitness customer service quickly dispatches replacement parts as needed. Is it perfect? No, but it does provide a heck of a workout, which is exactly why I recommend it. Weighing nearly 50kg, this model is a little heavy, so have someone help you with assembly. A quick pint and an hour later, you’ll be on your way to exercising. Stationary and moving handle bars are available for a full body workout. Hand pulse sensors are provided, and the arms are ergonomically designed for supreme comfort. When going to change resistance, you’ll find that all of the resistance and program options can be controlled right from the three-colour monitor. With 32 resistance levels, you’ll never have to worry about outgrowing this cross trainer. And there are 12 preset programs that offer a challenging workout despite age and fitness level. Meant for intermediate and beginner levels, this isn’t a cross trainer you want to recommend to a professional athlete. Why? It won’t be able to withstand the immense usage, and this cross trainer has a tendency to squeak. What I do recommend, and it’s something that will extend this model’s lifespan greatly, is to tighten the bolts and screws after every 5 – 10 uses. You’ll find that these components can come loose, and you may even want to put something like Loctite on the screws and bolts to ensure that they don’t wiggle themselves free after usage. Again, this is part of owning a cross trainer and not a fault of York Fitness. 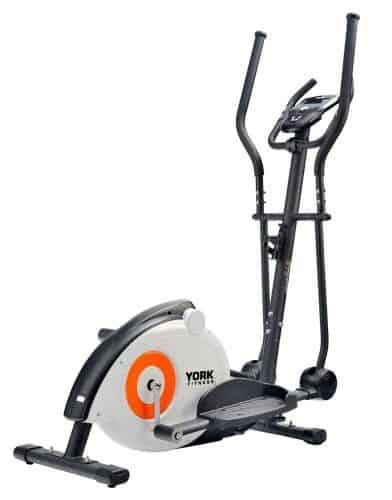 The York Fitness Perform 210 allows you to get a quality workout right in the comfort of your own home. While not perfect, the 210 is a great entry-level cross trainer that offers exceptional resistance levels and over a dozen preset programs to get you started on the road to fitness.